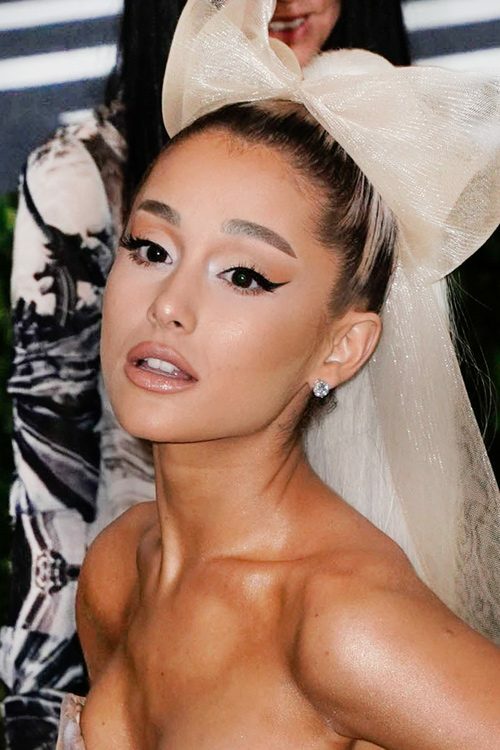 Ariana Grande at the “Heavenly Bodies: Fashion & The Catholic Imagination” Costume Institute Gala at Metropolitan Museum of Art in New York City, NY on May 7, 2018. 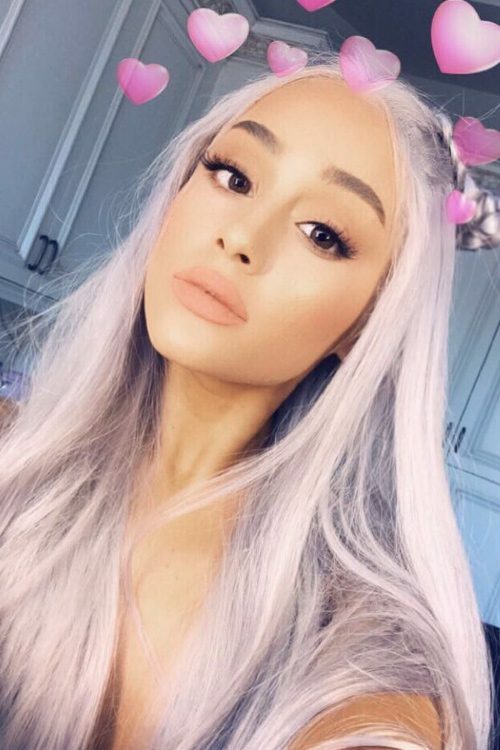 Ariana Grande went from brunette to blonde and she looks amazing with light silver hair color. 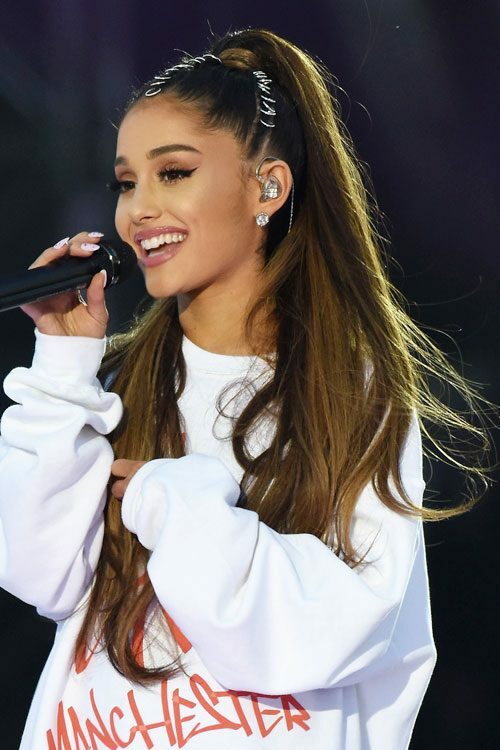 In this handout provided by ‘One Love Manchester’ benefit concert Ariana Grande performs on stage in Manchester, United Kingdom on Sunday June 4, 2017. Ariana Grande wears two pigtails in official fragance commercial Sweet Like Candy – by Ariana Grande. Ariana Grande attends The 2016 American Music Awards in Los Angeles on Sunday, November 20th, 2016. Ariana Grande had blunt bangs and half-up half-down wavy hairstyle in her music video ‘Side To Side’ ft. Nicki Minaj. Ariana Grande wore a half-up half-down high ponytail with loose waves in her music video ‘Side To Side’ ft. Nicki Minaj. Ariana Grande wearing bouffant half-up half-down wavy hairstyle in her music video ‘Side To Side’ ft. Nicki Minaj. Ariana Grande at the 2016 MTV Video Music Awards at Madison Square Garden in NYC, New York on August 28, 2016. Singer Ariana Grande attends the 2016 Billboard Music Awards at T-Mobile Arena on May 22 2016 in Las Vegas Nevada.